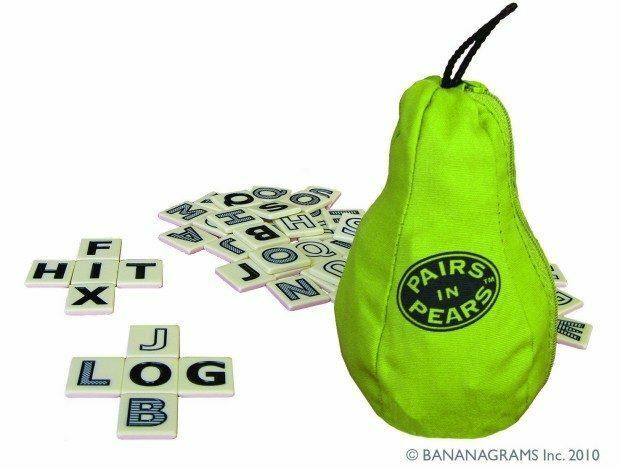 Head over to Amazon and order Pairs In Pears from Banagrams for Just $4.99! (Reg. $12) Prime members and orders of $35+ get FREE Shipping! Fresh Fun comes in pears. Race to make pairs of connecting words in matching patterns. A great way for children to develop memory and cognitive skills while learning the alphabet, pattern recognition, vowels, vocabulary, rhyming, and more. Advanced players can use semi-palindromes and palindromes to win extra points. The pear-shaped pouch contains four full alphabet sets in four distinct patterns!